We’re delighted to be able to share with you that the next phase of Mapping the Scottish Reformation will be supported by a HCRR Level 1 Advancement grant from the National Endowment for the Humanities. You can find out more about our grant at the NEH website. We are humbled to be in such good company. The next phase of our project will begin in May 2019 and use manuscript material in National Records of Scotland, Edinburgh, to extend the dataset that forms the backbone of MSR. Please stay tuned for more updates. Until then, we’d like to thank all of you for supporting this project so far. We’re excited about what the next stages of MSR will bring! The Reformed Kirk of Scotland contained over a thousand parishes. Scattered among rural, urban, coastal and ‘landward’ areas, parishes in early-modern Scotland varied in shape and size: a great many still adhered to boundaries established centuries before by the Catholic Church. As with all polities during the Reformation, authorities were increasingly concerned with ways to provide high-quality religious services and spread the Reformed message around the country. Unlike the dual university system south of the Border in England, there were five universities in early-modern Scotland: two colleges in Aberdeen and one each in Edinburgh, Glasgow and St Andrews. Using data collected in the early stages of the Mapping the Scottish Reformation project, we can tentatively reconstruct the impact of each of these institutions on the character of the Scottish ministry. The initial dataset was based on the research of Hew Scott in his multi-volume work the Fasti Ecclesiae Scoticanae. In what amounted to a lifetime’s work, Scott travelled around the country recording biographical details about the ministers that staffed the established Kirk of Scotland from 1560 to his own time. The Fasti (literally, the ‘Scottish Church Calendar’) remains an important resource for a range of scholars. By using volume one of Scott’s work, we created a rudimentary database of ministers from the area known then and now as the Synod of Lothian and Tweeddale: an area of two and a half thousand square kilometres that included Edinburgh as well as the rural areas of Peebleshire. We recorded the names of ministers, their respective parish appointments and, importantly, where they had been educated. We then georeferenced both the parishes and the universities to create a point-to-point representation of the ministers’ careers when plotted on a map. 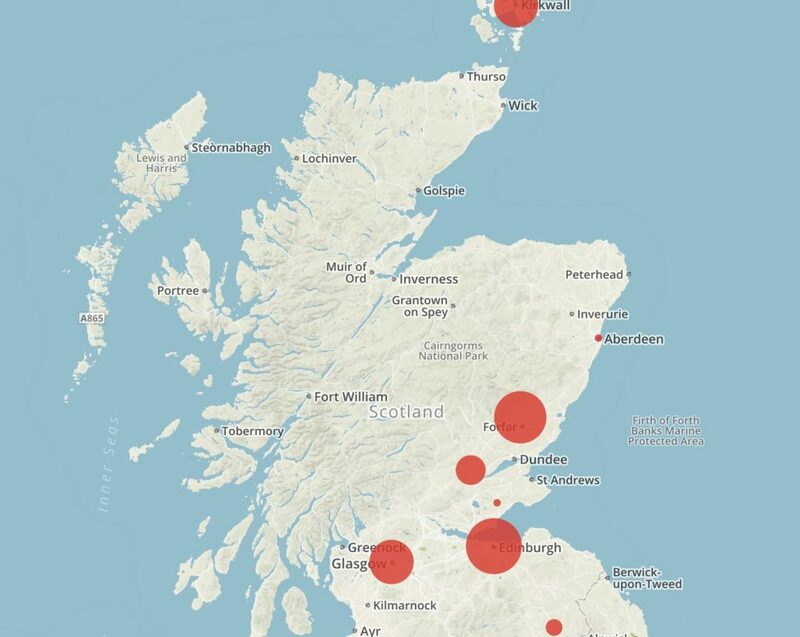 The results represent the first visualisations of the Scottish ministry in any period. 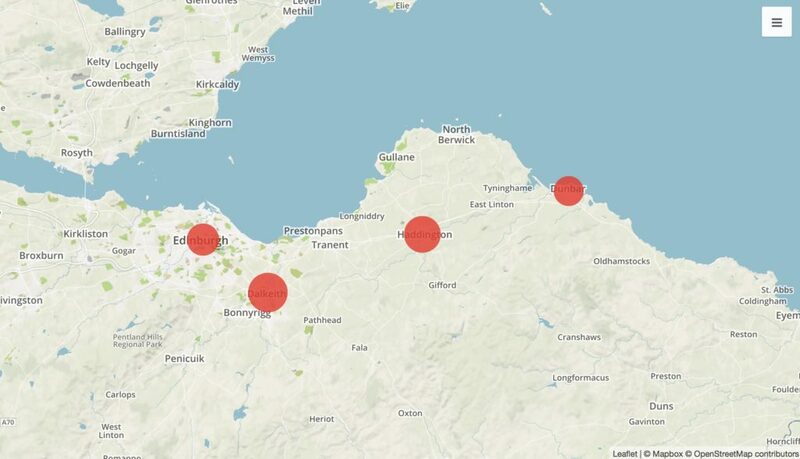 Using Stanford’s web application Palladio, we were able to assess the impact of individual universities on certain areas of Lothian and Tweeddale. First, we mapped the ministry of the Presbytery of Edinburgh – made up of some of the smallest, but most prosperous, parishes in the country. Unsurprisingly, the town College of Edinburgh provided the greatest number of graduates for this area but St Andrews was not far behind. Indeed, from the visualisation one can see the parishes of Edinburgh Presbytery being bombarded by graduates from St Andrews – especially those entering into the wealthy intramural parishes of Greyfriars, St Giles and St Cuthbert’s. More surprising was that, at least in the data Hew Scott collated, Edinburgh Presbytery contained more graduates of the Aberdonian institutions (King’s and Marischal) than those who had studied at Glasgow. Only two ministers in the sample were educated outside of Scotland – one in Oxford and the other at the renowned Protestant seminary at Saumur. We observe slightly different patterns when analysing the education of ministers in the more rural parishes of Dalkeith Presbytery to the south and south east of Edinburgh. It is quite clear from this sample that the (usually) poorer parishes around Dalkeith drew overwhelmingly from the local seminary in Edinburgh. Of the sixty-four ministers for whom Hew Scott collected such information, thirty eight were educated in Edinburgh and only sixteen from St Andrews. This means fifty-nine percent of the ministry of Dalkeith Presbytery was drawn from the graduate pool of University of Edinburgh. The figure may be much higher when considering that Scott was unable to track down information on the education on at least a third of the ministry of this area. Looking further south in the Synod region, the very rural parishes of Biggar and Peebles presbyteries show a different trend altogether. Here, the University of Edinburgh remained dominant in furnishing graduates for the ministry, but the University of Glasgow played a much greater role than elsewhere in Lothian and Tweeddale. 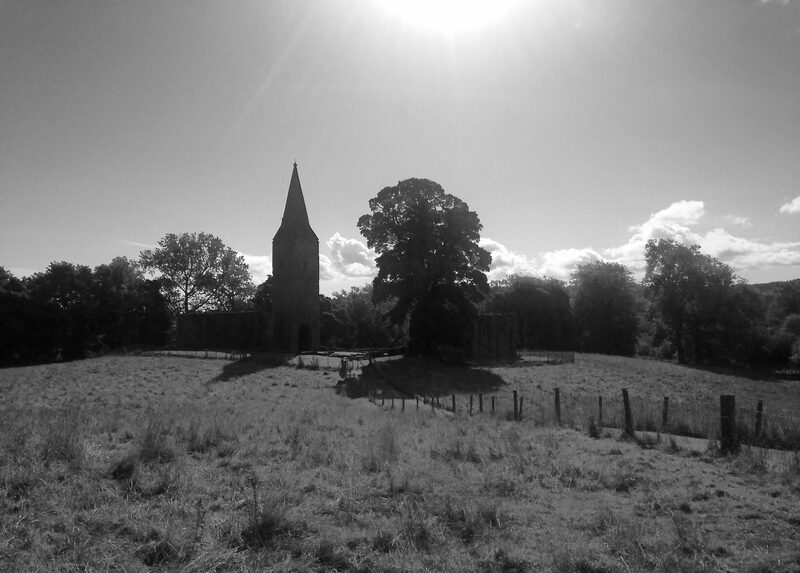 Much of this was to do with the fact that Biggar Presbytery was erected in 1643 and effectively took possession of lands that had once been part of the neighbouring Synod of Glasgow and Ayr. This jurisdictional change opened up this part of the Synod of Lothian and Tweeddale to far greater influence from the University of Glasgow. On the other hand, parishes around Biggar and Peebles seemed to have had little desire or inclination to appoint graduates of the Aberdeen colleges with only two appearing in this dataset between 1560 and 1689. Interestingly, these two men were appointed to the neighbouring parishes of Traquair and Stobo. It is tempting to speculate how the patron obtained his connections with the schools in Aberdeen when no other parish in the region showed even a remote interest in alumni of the Aberdonian institutions. The most obvious conclusion one can draw from this data is that the Scottish university system was effectively churning out graduates to man the Scottish ministry. A selective search of the Clergy of the Church of England Database shows remarkably few Scottish ministers entering the English clergy. That very few graduates were drawn from universities elsewhere in Europe to serve in Scotland should not surprise us. Other conclusions must be more tentative. The early stages of MSR raise a great many questions for us to ponder. For example, there’s the local perspective: did certain parishes and patrons prefer graduates from certain institutions? What was the personal role of patrons and neighbouring ministers? Then there’s the idea of change over time: Did graduates from some institutions make a significant impact at key points – like the Covenanting Revolution of the mid-seventeenth century – only to fall away at other junctures? Did some schools fall out of fashion after the Restoration when any whiff of fanaticism was likely to be rebuffed? Did some parishes continue to carry a radical torch by appointing clerics from trusted sources? This analysis has been fruitful but it is based on the selective efforts of Hew Scott’s Fasti. As such, there are a great many details that we do not have in this current dataset. For example, were graduates of one university more likely to be hounded out of office? Were ministers from the colleges in Aberdeen more suited to charges in the north east? What were the push and pull factors drawing ministers to certain areas or discouraging them to go elsewhere? Did these ministers marry local women? To answer these and other questions, our dataset will shortly move onto assessing extant manuscript material – adding details that Scott missed or thought unimportant. Only then will we be able to more accurately map the contours and character of Scotland’s early-modern ministry.